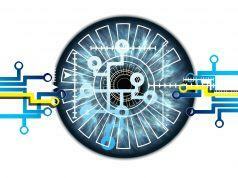 Are you compromising your company’s data security? With data protection being an ever-present concern for companies of all sizes in all industries, you can never be doing too much to ensure that any sensitive documents you have are well protected. Recent information from ICO shows that one of the biggest causes of information security breaches is the loss and theft of paperwork, and companies are falling into this trap completely unnecessarily. When it is now so easy to go completely digital securely, there really is no excuse for taking a risk with paper documents. Additional security is not the only benefit, either. In fact, here are five good reasons to scan the documents that you have, and move exclusively to digital. Workers in information industries spend around 11.2 hours every single week creating and managing documents. You could be saving as much as half that time by switching to digital documents. Digital documents have two key qualities that can help you save time: they are searchable and they are shareable. You can search through files on your hard drive or in a cloud-based system in seconds, and you can also easily search for specific words on most documents. With digital documents, finding that obscure piece of information can take seconds instead of minutes, and you will have more time to spend acting on that information. You can also easily send documents to colleagues and clients via email or share them across various online platforms, allowing for much faster feedback and collaboration on those files. Having your documents in digital form will therefore not only increase the speed with which they can be made use of, but potentially their quality as well, as it is easier for others to contribute and give you feedback. Digital documents are fundamentally mobile. With all of your documents digitised, you won’t have to worry about carrying them with you from one location to another, or about making do without them. You can have access to your documents any time that you have access to the internet, or you can download them onto your laptop or tablet to have access to them anywhere. You would not only have more options with where you travel for your work, you will also have the opportunity to work while you travel, and make the most of that time that would otherwise be wasted. With this approach, a train journey stops being a blank spot in the day, and becomes another opportunity to carry out valuable work. Whatever it is that your company does, there is scope to do it even more efficiently by switching to purely digital documents. Perhaps you’re part of a consultancy firm that has regular contact with clients, or your business is working alongside another business and you need to communicate often with them – in all these situations having digital versions of your documents will make the communication faster, easier and more secure. International communication is also much easier with digital documents. You can send files to companies in the USA as easily as you can to a client in the same city as you, and you’ll never have to pay postage. By switching to digital documents, you’ll be saving money and space as well as helping the environment. Think about how much space a couple of filing cabinets take up in the office. True, it might not be a huge percentage of the total space that you have available, but it is space that you are losing unnecessarily when all your documents can be stored in hard drives or the cloud. Digitising your documents helps you to make the most of all the money that you are paying for your real estate. It also means that you won’t be wasting all the paper that could be filling up those filing cabinets over the years to come. Once they have been scanned, existing documents can be easily and securely recycled, and once your company has gone digital there won’t be any further need for paper to build up around the office. With digital documents you can have complete control over the security of your documents. If your company handles particularly sensitive data, then there are international accreditations that will help you prove to clients and board members that you are doing everything you can to protect the data that you have. Ultimately, having digital versions of your documents is far safer than leaving them all in physical form, where they are vulnerable to damage, theft and destruction in situations that are often beyond your control. There is no additional benefit to keeping the documents in paper form, so why take the risk with security on top of that? Your existing documents can be securely scanned and disposed of, and you can move forward with digital documents from that point onwards. 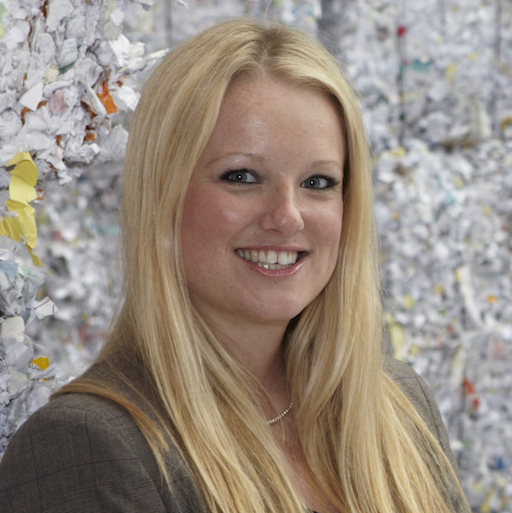 Lucy Shipley is a Managing Director of Shredall/SDS. Shredall was set up in 1997 by Lucy's father, Lloyd Williams. The business became wholly family owned in April 2010 when Lloyd's children, Lucy and Nik, joined the board of Directors. Shredall is a full service data security and confidential waste destruction company. They specialise in a wide range of services, including product destruction, WEEE recycling and on or off-site shredding. It also looks after almost 200,000 confidential storage boxes and 100,000 deeds through its sister company SDS. With offices in Nottingham, London and Glasgow, it is one of the UK’s largest independently owned shredding, document storage and document scanning companies. 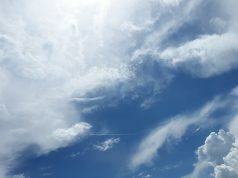 What is Next-Generation Endpoint Security?